Extraordinary materials and the courage to be a little extravagant – characteristics that apply to both, Japanese premium car manufacturer Lexus and highly innovative 3D fashion. So it’s no coincidence that Lexus and creative partner AMD Akademie Fashion & Design have teamed up for a joint 3D fashion show at PLATFORM FASHION on July 21st, 2018 at 18.30h. Just like all Lexus cars, the fashion shown stands out with the combination of sustainable fabrics and a creative design that deliberately polarises. 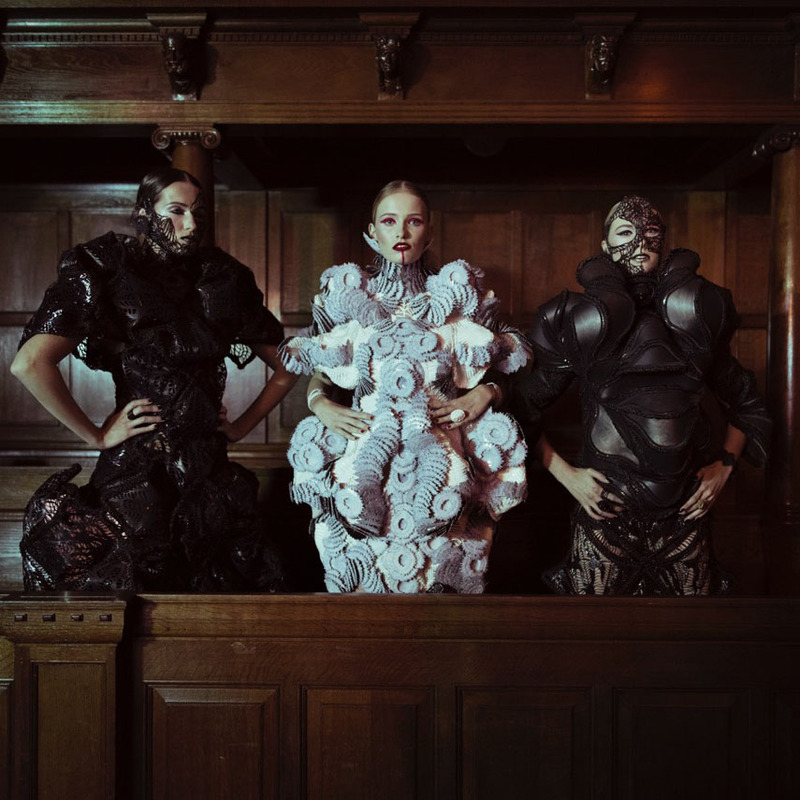 In addition to acclaimed 3-D designers Alexis Walsh, Maartje Dijkstra and Heidi Lee, emerging Fashion Design (B.A.) graduates from AMD will also present their work ate the Lexus and the AMD runway show. New Yorker Alexis Walsh combines traditional fabrics with designs from the 3D printer. Her latest collection “Apex Series” is reminiscent of reptiles skin, due to the many tiny tips and plates used. Maartje Dijkstra from the Netherlands focuses on technology in her clothing. Her progressive costumes blend high fashion and science fiction. Heidi Lee specializes in exceptional headgear. For her most famous work, “The Endless Echo Hat”, the artist reproduced her face with the help of a 3D printer. Lee’s extravagant hats were already worn by style icons such as Madonna or Lady Gaga. In her collection “Encounter – Identity between Cultures”, AMD graduate and designer Franziska Simon comments on the clashing of different cultures and focuses on the clothing of refugees. The deconstructed and functional “Traverse” collection by designer duo Lukas Viering and Marcel Mentzel, both AMD graduates, uses stunning 3D print modules, created in collaboration with the company “Alpin 3D”.